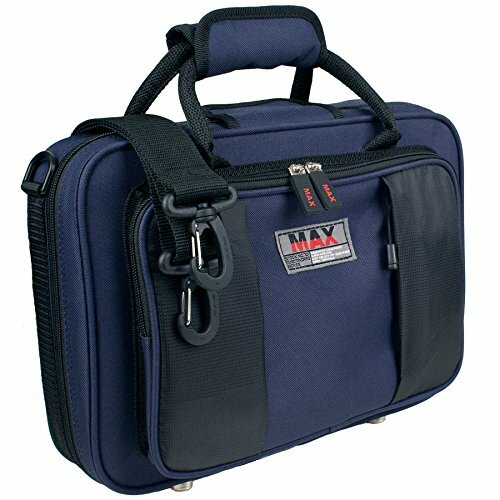 Protects lightweight MAX Oboe case features a rigid shock-absorbing EPS foam frame lined with soft velvoa that offers a safe and secure fit. The exterior is made of rugged 600 denier nylon and features a large storage pocket, small zippered storage pouch, padded handle wrap, custom large zippers, and lightweight break-resistant hardware. Designed to be carried over the shoulder or on your back. ID tag included.